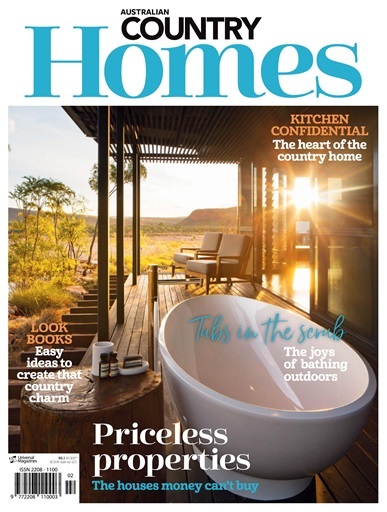 Australian Country Homes 2 celebrates the country aesthetic by visiting some of Australia’s most interesting homes and celebrating the lifestyles of those who are living the country dream. Brought to you by Australian Country magazine, this new quarterly publication showcases the best country residences from the weekender and the station homestead to the farmhouse and historic property. Every story in Australian Country Homes is accompanied by an inspiring looks page, with accessories, products and furnishings to help the reader achieve that particular owner’s style. Australian Country Homes 2 also focuses on the kitchen and bathroom with a diversity of looks and an inspirational feature on outdoor bathrooms.